The update comes shortly after Facebook bought WhatsApp in a $19 billion. Has mobile messaging become more important for tech giants? Amid increased competition with other mobile messaging apps such as WhatsApp and Line, Google has finally taken some steps to boost its Hangouts app. 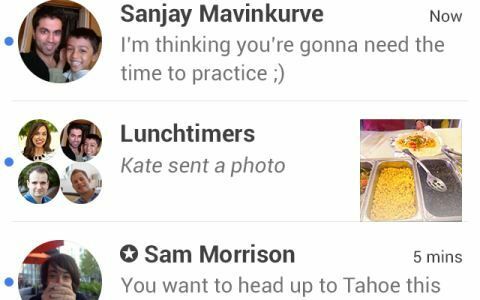 The latest update to its Hangouts app brings a slew of new features including stickers. Google Hangouts for iOS now has a bunch of new emoticon-like stickers. You can now record and send short videos to everyone in a conversation, similar to Instagram and Vine videos. Moreover, you can share your your location. The app has been especially optimised for the iPad, adding video calls, and a two-pane conversation view. The update to Hangouts comes shortly after Facebook purchased popular mobile messaging app WhatsApp in a $19 billion deal. Facebook is eyeing to tap WhatsApp's 450 million users worldwide and expand its reach in Asia and compete with the likes of Line and WeChat. 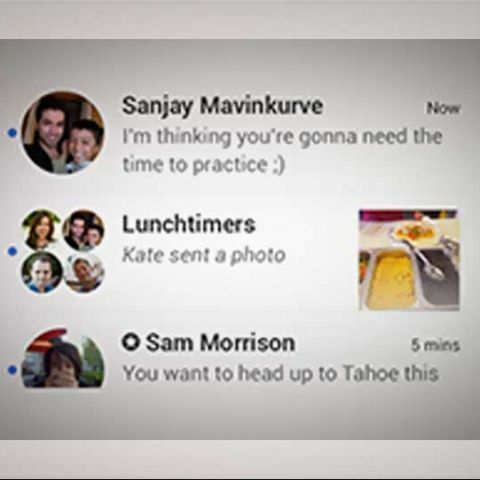 Google attempted to tap the segment with Hangouts, which also replaced the old Google Talk. To make the app more popular, Google has already relaxed Android settings to replace the phone's SMS system with Hangouts. The updated Google Hangouts is available on Apple's app store.